10 best camera phone under 10,000 - Best camera phone review! The mobile phone market is swaying high every year. More and more companies are finding their way to enter this jargon. I think the most frequent search on any search engine would have is the best camera phone that is in the budget. Companies too have made their best to launch phones that have an excellent camera in an affordable price range. As there are so many choices you need to be discernable when getting your phone. At last, it should be a value for your money. To make it easy for you we’ve included, only selected phones that have the best camera. Why do you need a good camera phone? According to a report over 93 million selfies are taken each day. What do you think how are they taken? With the best camera phone. It is also seen that smartphones with an excellent camera get a good resale value. A good camera phone is helpful to take a passport size photograph when you need it urgently. With a good camera phone, you can take document photographs when you don’t have the time to scan them. You can take photos of study notes with a good camera phone and can use these photos later on while studying. There are certain moments in life when you want to get some awesome and good pictures. Many people need photos for their projects and works. Photos clicked by good camera phone can be used everywhere. During medical emergencies, you can send the diagnostics reports directly to your doctor and start the treatment. The light sensor auto-detects room color temperature to give the best quality snap. The display quality is excellent with a resolution of 1920×1080. The pixel density is 441 which is one of the reasons to get clearer photos. The Phase Detection Autofocus (PDAF) for 0.1 s gives stunning images of moving objects. The front camera records a video with a full HD clarity of 1080 p. With a display resolution of 1920×1080, you get a better viewing experience. The Indian smartphone manufacturer Micromax has got a smartphone with alluring features. The Canvas 6 Pro is a budget phone with 13MP primary camera and 5MP front facing camera. The phone has an IPS display with a size of 5.5” and a full HD resolution of 1080×1920 p and a 401 PPI. The phase detection autofocus technology renders a fantastic photo quality. The phone is powered by an Octa-core processor and a 3 GB RAM. It is also loaded with a light sensor and proximity sensor both important in the best camera phone. 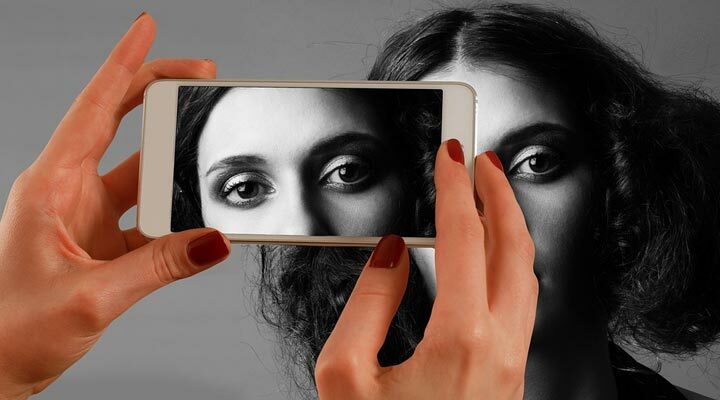 Yureka Black has 13 mp back camera with dual led flash and 8 mp front camera with selfie flash. This phone has a good auto-focus with the PDAF. The 5” IPS sharp display gives you full HD photos at a resolution of 1920×1080 p.
This smartphone is powered by a Snapdragon 430 processor and 4 GB RAM for better processing. With the beautify mode you can enhance your photos to give them the best look. Lenovo K6 Power has an awesome camera with a very affordable price. The camera quality is great with 13 mp back camera with auto focus and led flash. It has 8-megapixel selfie camera. The 5” IPS LCD display comes with a resolution of 1920×1080 and a 441 PPI which means your photos will look really good. It has a Snapdragon 430 processor, 3 GB RAM and 2-day battery life . The E4 Plus is one of the best camera phones under 10000. It has 13 mp rear camera with LED flash and autofocus. The 5 mp front camera is amazing with LED flash. There is dual LED flash for the primary camera and the front camera has a screen flash. The phone has a screen size of 5.5” with a full HD display. The display resolution is 720×1280 p and a 267 PPI. The Quad core processor is paired with a 3 GB RAM for better performance. This smartphone has 5” full HD IPS display with Quad core processor and 3 GB RAM. It comes with a 13 mp and 8 mp dual camera with LED flash and a selfie camera of 5 mp. The screen resolution is 720×1280 p and a 294 PPI which means an assurance of clear and stunning photos. One of the best camera phone in this series is the Canvas Infinity which is loaded with features. This smartphone comes with 16MP front camera and 13MP rear camera with auto scene detection, bokeh effect, super pixel, panorama and LED flash. The display quality is enhanced with a IPS screen with a resolution of 720×1440 p and a pixel density of 279 PPI i.e pixels per inch. It has a Quad-core processor with 3 GB RAM and 32 GB internal memory. The Coolpad note 5 has a quad-core processor with 3 GB RAM and 16 GB internal storage. The primary camera is 13 MP which is capable to record at a pixel quality of 1080 p @30fps and a function of pro mode, HDR mode and autofocus. The front facing camera is 5 MP with LED flash and face detection. The IPS display is best to get crystal clear photos at a 5” screen. The display resolution of this smartphone is 720×1290 p and a pixel density of 294 PPI. Nokia is again in the race and this time they’ve brought the best camera phone at a budget price. This phone has a primary camera of 8 MP with autofocus and LED flash. The secondary camera is of 8 mp with autofocus. The phone has got a IPS display at a 5” screen size with a resolution of 720×1280 pixels and 294 PPI. The quad-core processor works well with a 2GB RAM. What exactly you should keep in mind when you want to get the best camera phone at an affordable price. I think it’s important to understand the resolution of the camera as well as the screen quality. It is because only a good screen paired with a good camera can give you stunning photos. It will also be wise to get a hands-on experience with the device before you buy it. This you can do by selecting the phones you would like to buy from this article and then going out personally to weigh the specifications. This will indeed ensure that you get a product that is worth to put a smile on your face. Great list and recommendations, but I just can’t seem to move away from the iPhone! I have never heard of some of these. Maybe its the strangle hold Apple and Samsung have on the customers in North America. Some of these look excellent. I didn’t even know about some of these ! It’s good to know that their are options out there. We can’t live without our phones ! This is a great list! I’m an iphone person but it’s nice to know there’s options! Great list! I couldn’t live without my camera phone. Such a cool list. I am checking out the Redmi one now. Great review content and quality writing!